Far from being random, extinction of organisms is often biased. If you live in a certain place, have a size problem or don't produce offspring very quickly, then risks may accumulate. So when we look at the chances of losing an animal or plant species, we should look at its relatives. If those with similar characteristics are threatened too, then the risk would seem to be increased because of the shared heritage. Of anywhere in the world, the twin islands of New Zealand have the largest collection of unique plants and animals. Not least of these are the birds, many of which have evolved flightlessness. The absence of mammals of course led to this particular characteristic with another problem faced by threatened organisms-lack of resistance to predators (and especially new predators). Cats and rats in NZ currently have a party at the birds' expense (if they are given the chance). Lindell Bromham of the Australian National University in Canberra, along with colleagues from both Australia and New Zealand has sought to predict future extinctions (or rather how to avoid them!). Loss of biodiversity is permanent, as is the effect on the "species assemblage" that remains. With so much of New Zealand's fauna at risk or already lost, this gives us all a chance to catch up on what has been lost and how we can fight any extinction that seems likely throughout the world. For tens of millions of years we have records of the birds of NZ, giving the research here a chance to compile a very complete list of detailed information on all known species. Of course we mustn't forget the excitement of those fabulous giant moas, and the beautiful sight nowadays of keas and other parrots surviving despite past predation problems! Families were identified as suffering a higher number of extinctions than expected in each period. Some of the traits showed significant correlation with extinction risk in over 80% of the groups. In the pre-human and post-Polynesian periods, the only life-history variables analysed were body size, flightlessness and sexual size dimorphism. After the Polynesian Maoris arrived, the pacific rat (Rattus exulans) is recorded raiding nests, while European ships brought predators (cats, rats and mustelids) to accompany the human onslaught. The last extinction was in 1968, thanks to a tremendous effort from the NZ population that is unequalled in modern conservation. For example, in 1948 the "extinct" takahe was discovered on South Island. 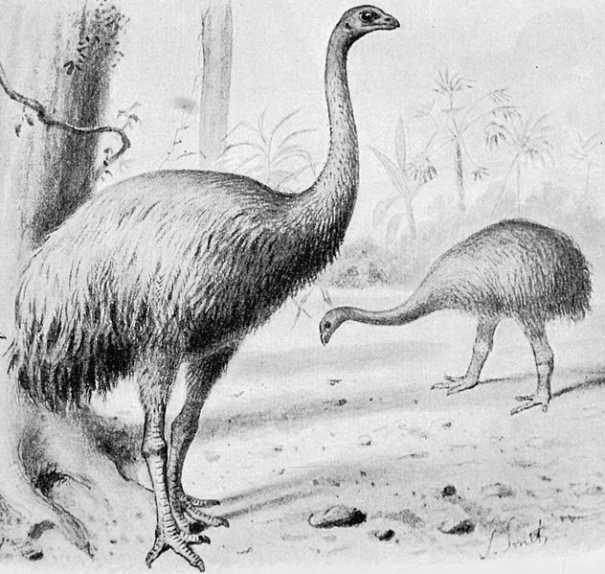 The kakapo and other parrots, and several others such as albatrosses and kiwis (all noted by the authors in the list above.) are all severely threatened with extinction. The point being made is that in the past and in the present, related animals are threatened. Because they may be ground nesters, or subalpine, diet specialists or limited in clutch size, each "species assemblage" shares a similar fate, just as large size and flightlessness seemed to doom many birds in the Polynesian period. The proposition by Lindell and the other authors is that all organisms could be affected by their phylogeny in this way. If it helps us judge survival, they claim, we will be able to help in ways that so far have not been understood. We may save species, by simply being aware of the risk factors that threaten their relatives. A noble thought from a noble place in the history of conservation. The full paper, Reconstructing Past Species Assemblages Reveals the Changing Patterns and Drivers of Extinction Through Time, has been published in the Proceedings of the Royal Society B: Biological Sciences.